Amazon Incentivized Reviews - What do sellers do now? The Jordan Rules, in action. In 1988, the Detroit Pistons, also known as The Bad Boys, created the “Jordan Rules”. It was a strategy developed specifically to stop the dominance of Michael Jordan, who was obviously a lethal player and the catalyst to the Chicago Bulls. 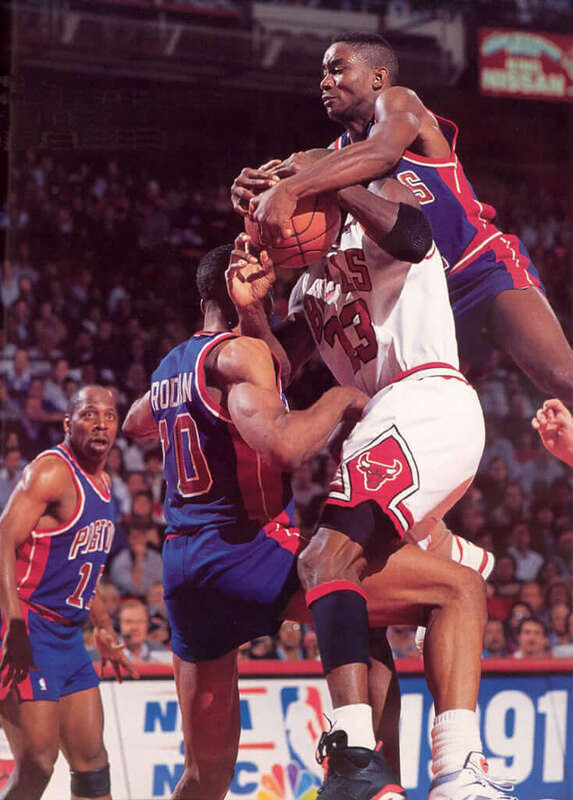 The point of the Jordan Rules was to ultimately offset a huge advantage that the Bulls had developed with Jordan’s unmatched skill. What does this have to do with Amazon and the recent Terms of Service change? In some respects, it seems that Bezos and Amazon have made a sudden and drastic change in the rules, so that an important strategy that sellers rely on is essentially nullified. So yes, we are all Michael Jordans! And we need to find a way to strategically work around this new world. This means that services that are marketplaces for discounted products in exchange for honest reviews are no longer within the terms of service. Review Kick (now relaunched as Jump Send), which I launched earlier this year, had a component of coupons in exchange for honest product reviews. 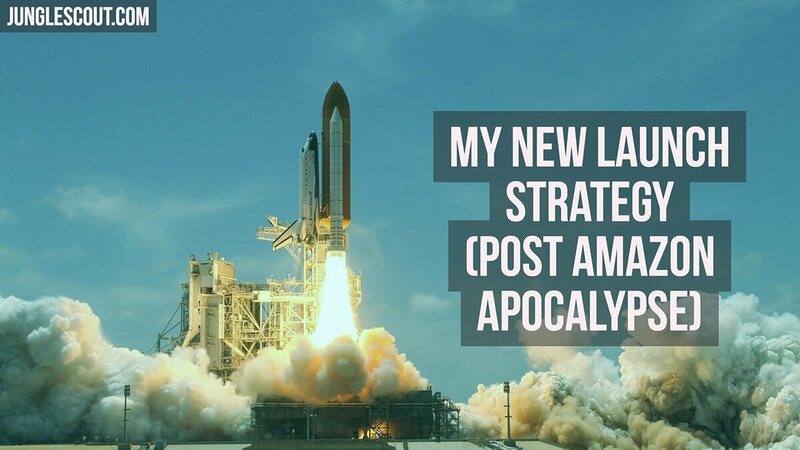 In this blog post, I want to explore what this change of Amazon’s Terms of Service means for sellers going forward, and how it will change the existing landscape. CAVEAT: First, I would like to state one important assumption: it is always best to play by the rules. Don’t worry, my spectacles aren’t at the tip of my nose as I wag a finger at you. I say this because I truly believe that black hat tactics, in regards to anything, have a very short shelf life and ultimately leave you in a worse position than where you started. With regards to Amazon sales and digital marketing, there are often detours that you can take to shortcut a process and get ‘big” results fast. With Jump Send (previously Review Kick) for example, it was always a top priority to stay clearly within the Terms of Service. Now that the policies prohibit incentivized reviews, we respect that and ask our users to as well. The world moves very fast when you are an Amazon seller. I would see relatively new and untapped niches get “saturated” and competitive very quickly. One thing that made it very tough for new entrants was the social proof of products that had generated a surge of reviews. These sellers made the calculated decision to invest in promotional giveaways, with the understanding that they would get product reviews (and presumably the increase in conversion rate that came with the social proof) and improved Best Seller Rank with the sales velocity. In the new Amazon world, getting a bucketload of product reviews won’t be as readily doable. The result is that there will be a more even playing field. Product reviews will be harder to come by. And reviews will be more of a meritocracy, meaning that it will not necessarily be as easy to get a great review. I believe the confluence of these factors means more opportunity for new sellers to enter the marketplace. It won’t be possible for bigger sellers (Amazon included) to barge into a new niche, flood the market with discounted products, and get a bunch of reviews and quickly be a top seller. All sellers will have to take the slog of going from a new product to eventually becoming a well-established product. The asterisk to my statement above about Amazon becoming more of a meritocracy is that it will be harder to break into competitive and established niches. Take Vitamins and Dietary Supplements for example, a notoriously competitive category. The top products have thousands of existing reviews, on average almost five stars. It would take a significant amount of time and investment to build up a listing that has thousands of organic reviews now. Until that point, the new product is likely languishing on the back pages with minimal impressions on any given day. This is not a viable route for sellers anymore. However, the flip side to this is that it is much more realistic to launch a new product in a less competitive niche and start competing there. No longer is it an arms race to stack up as many reviews as possible. If you spend the time to find a great product niche that does not have a lot of competition, you have a great opportunity before you. Product Reviews acted like a performance booster for Amazon sellers. However, with such a boost no longer allowed, everyone is forced back to basics. And this is where you separate the wheat from the chaff. Or the cream will rise to the top. Basically, if you play by the rules and execute, you will succeed. Find a Great Product Idea – As I mentioned above, I think success on Amazon will require a bit more ingenuity than in the past. This especially applies to the product idea, as it isn’t as feasible to throw your product in the ring and have it succeed quickly. You will want to find a relatively new and untapped niche so that you aren’t fighting an uphill battle before you even start. Have a Good Supplier – There was a recent study that showed that incentivized Amazon reviews were on average more lenient, and gave higher product ratings. We have to assume that without incentivized reviews, it will be harder to get a five-star product review. Overall the reviews will probably be more nitpicky. So it will be more important to have a manufacturer that you can trust, with manufacturing quality, quality control, packaging, pricing, and more. While you should have perceived of your supplier as your long-term business partner, that is the case even more so now that reviewers will likely be more discerning. Optimized Listing – Once you have a quality product, you will need to differentiate from the competition and stand out to prospective customers. The quality of your listing is crucial. This applies to the product photos, the keywords you are targeting, copywriting, pricing, graphics, Title, Product Features, Descriptions, and more. Finding an optimized listing is an ongoing process that you will iterate towards through split testing and analyzing the effects on sales. Greater Reliance on Pay Per Click – The beauty of Amazon’s Sponsored Ads program is that it is very easy to set up, and can yield profitable sales relatively quickly. And if your product is new, and not yet ranking for your main keywords, you can nearly instantaneously get exposure for your main keywords with Pay Per Click advertising. However, many sellers now will turn to Sponsored Ads to increase exposure. With the auction model of Amazon’s platform, this increase in demand will translate to increased costs. Our free PPC ebook is full of actionable advice. Build Customer Relationships– Amazon is a tremendous sales channel. It can be significant enough that seven figure businesses are built solely on Amazon sales. However, for the long term, you will want to build your own customer email list. This begins immediately after you have converted a sale, with an email follow up campaign. And it extends all the way to building your own traffic and sales on your own website. I am very excited that I will be hosting a webinar with Steve Chou of mywifequitherjob.com to explore the strategy and tactics of building sales outside of Amazon. Find Emerging Trends – I think one of the most enjoyable parts of being an entrepreneur is constantly surveying and adapting to a changing environment. Amazon’s changing policy on incentivized reviews is an example. I think it is equally as important to peer into the future and anticipate changes in demand and emerging trends. This is actually related to my first point, about finding untapped niches that have limited competition. If you can be a first-mover in a niche, you have some time to build a strong listing and generate initial product reviews, which will help you in securing a strong organic ranking. Going forward, I (along with many Amazon sellers) will have to tweak our launch strategy. I am in the middle of a new product launch right now and this appears to be working very well! Step #1. Run 3-10 Promotional Giveaways per day for a week. Amazon has not changed its policies of giving away promotional items. All sellers who have professional sellers accounts can utilize promotions, and I still think that it is a viable strategy for initiating sales velocity and history. This results in an improved Best Seller Rank, so that you can have your product appear for your main keywords. These promotional giveaways will not translate directly into product reviews, however, that is where step 2 comes in….. Step #2. Focus on optimizing Email Campaigns. Each email followup campaign that I run is tailored to the specific product, niche, and customer profile. Going forward, these emails will be even more important in converting customers into brand advocates and product reviewers. I must be very clear here: you want to proceed with caution so that there is no confusion that you are giving away discounted products, with an expectation of receiving a product review in return. 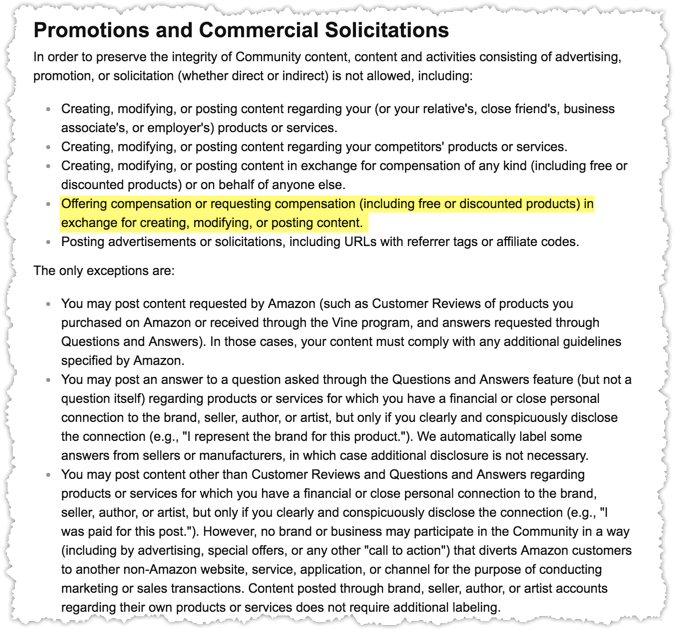 That would be considered an “incentivized” review, and that is against Amazon’s terms. Instead, send thoughtful, relevant, and timely emails to your customers to enhance the buying experience, and showcase your product and its various use cases. Step #3. Start Pay Per Click Advertising from the beginning. There is a prevailing theory that you want to start your PPC campaigns once you have 10-15 product reviews. The thought here is that you want to have social proof on your listing before you pay to drive traffic there. I think this is now old-hat. As I mentioned above, it is important to get traffic and sales early, and PPC campaigns are one channel to do so. I believe that this will be an effective launch strategy and all early signs point to that. Of course, things may continue to change with how Amazon interprets and enforces its rules, but I will keep you updated on such changes. Bringing it all back full circle, the Jordan Rules stymied Jordan for a few seasons, but only for so long. MJ and company played strategically and intelligently (obviously with a lot of talent and skill along the way) to win six championships. The moral of this story? With ingenuity and work, challenges like what these new Terms of Service present can be overcome. And I believe if you follow some of the points that I outlined above, it will allow you to separate yourself from the crowd, which will be to your great advantage. Thanks so much, Gen. I would like to request access to the Competitive EdgeFacebook Group. I missed the Webinar 🙁 Is there any way to access it? If you are in the FBA Competitive Edge Facebook group, Greg did a Facebook live event, which can help shed light on the situation. If you are not a member, just request access and we’ll get you in asap. Hope this helps! Can we expect a swift reaction to Amazons latest email to sellers. I am particularly concerned at the prohibition on sending e.mails for marketing purposes !!! does this mean we will not be able to follow up discounted sales to ask nicely for a review. I am a user of all your products, and have used review kick in the past. I am about to launch a new range of expensive products in a special niche. Will I still be able to discount them via Jump Send ?? Thanks for providing this new launch strategy. It makes total sense in light of the recent changes. What is suggested here, since we have no other option, is to start using PPC right from launching, when the number of reviews might even be zero. What concerns me the most right now is getting a small amount of reviews (maybe even around ten or so) for a product before starting using Amazon PPC. Yes, the BSR will probably get better for a while, but without reviews, once PPC has stopped, the BSR will plunge. So PPC is like “life support”. We can’t assume the product will have organic reviews, even with an email sequence in place… or can we? Anyway, not exactly a question, just sharing my thoughts. Hope they make sense ? And yes, you and Scott ARE THE BEST! Your products have been very useful in running my biz on Amazon. After the TOS change, you are saying it’s more important in having the email sequence. Now most of us have our own way of writing, but I think it will be helpful if you can do a blog post on the best converting scripts (with evidence if possible). I think this will ring well with many sellers. We can trial and error the best converting scripts to achieve the most optimal review conversion rate. Thanks for the thoughts–that is a great suggestion. Keep an eye out for that soon! You and Scott are two of the best in delivering amazing comprehensive info! Thank you, thank you, thank you!!! Are you using super URL when giving away discounted units? If not, how do you rank for keywords? I have one concern with what you have outlined Greg and that is: If we use “traditional” deal sites, to give product away, or at a discount, and these people/possible former reviewers receive product, even with the caveat that they are not required to leave a review…… then we communicate with them after the sale and ask for a review, is their old reviewer brain going to kick in (no pun intended) and they might leave the statement: “I received this product at a discount for an honest review”. They might even think they are doing us a favour, or that this is the right thing to do. If this were to happen we could get our Amazon account shutdown, and of course that concerns me. What do you think? Hey Grant! I’m not too concerned about this. We’ve taken multiple steps to make sure all the shoppers on our platform fully understand that Jump Send is not a review site (agree to the new terms when logging in, multiple emails, facebook posts, etc.). We haven’t had any reports of this happening so far and I don’t see it being a problem moving forward. Good point. Might be good to mention that in your email follow up.